Do you have a GREAT brand that you would like to be reviewed? Do you have a contest or giveaway that you would like run? Or, do you have a SPECTACULAR product that you wish to advertise to our family-friendly audience? These paid opportunities, as well as banner advertising, guest posts on your website and Twitter Party host services are also available! I do NOT offer "do follow" links, thank you. 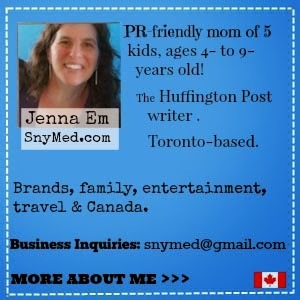 SnyMed.com is PR-friendly, e-mail for rates! (Family-friendly products and services only, thank you!) Visit the About section, to find out more about me, Jenna Em!